ClearStream TV for Apple TV by Antennas Direct, Inc. Turn your TV antenna into a wireless antenna and record live broadcast TV shows! Connect ClearStream TV to your HDTV antenna and not the TV to combine live, local broadcast TV with your iPhone or iPad, anywhere in your home. Take your recorded shows with you on-the-go, no Internet required to watch recorded shows. Record, pause, rewind, and watch all your favorite network shows using the FREE ClearStream TV companion app and any HDTV antenna with no subscription or monthly fees from *ABC, CBS, NBC, Fox, PBS, myTV, ION, MeTV, The CW, Univision, along with expanded programming. Includes a free program guide to preview all your upcoming shows. Pause a live TV channel for up to 1 hour. 3. Download the FREE companion app to your iPhone, iPad, and/or Apple TV. 4. Follow the on-screen instructions to connect ClearStream TV to your home WiFi network. 5. 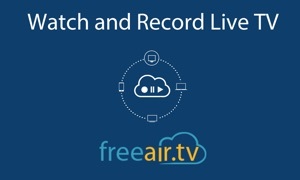 Record, pause, rewind and watch all your favorite live, network and local TV shows for FREE! -Includes a program guide to preview all your upcoming shows. -Pause and rewind live TV for up to 1 hour and even fast-forward through commercials. *Compatible with these branded products: iPhones, iPads, and Apple TV. The ClearStream TV Wireless Tuner Adapter can be used on any home WiFi network compatible with 802.11n over 2.4 GHz or 5 GHz and compatible iPhone, iPad, and Apple TV devices. 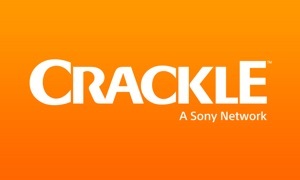 *Apple, Apple TV, iTunes, iOS, tvOS, iPhones, iPads, ABC, CBS, Fox, NBC, PBS, myTV, ION, Univision, MeTV, and The CW are the trade names and trademarks of their respective owners, are not in any way owned or controlled by Antennas Direct, Inc. or ClearStream TV and are used herein only to illustrate product compatibility.